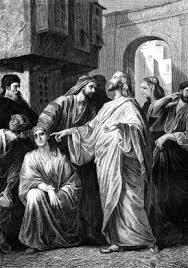 When I got home from Mass this morning I decided to GOOGLE Mark 7 to see if I could find out why Jesus told the deaf/dumb man not to tell anyone. Thanks for your explanation. Makes sense to me. Thanks for stopping by Reflections of a Lay Catholic! Like you, I didn’t understand until our priest explained it to me. Made sense to me, too. God bless and come back and visit soon.